JoJo’s Bizarre Adventure was originally written and illustrated by Hirohiko Araki. The series made its debut in Weekly Shonen Jump in 1987. Each Part tells the story of the descendants of the JoeStar lineage as they fight against the supernatural and the many forces of evil that dwell in every corner of the world. With how popular it is, Jojo’s Bizarre Adventure has been given its own anime series. It has two in fact; the first created in 1993, and the second in 2012. Only in 2015 did we get the first English Dub DVD by Viz Media. 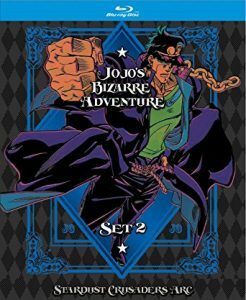 The first blu-ray was released in 2017; that was JoJo’s Bizarre Adventure: Stardust Crusaders Parts 1 and 2 (labeled Set 1). This review covers the Set 2 of the line of Limited Editions that started just last year in 2017! Since these are Limited Edition, Viz Media sweetens the deal by giving loyal fans loads of special bonus content and even a small booklet containing animation sketches (more on that below).The collector’s box which encases the main blu-ray case is worthy of mention with its holographic front and back. Avid collectors of the series will notice the striking resemblance in the art style on the box and how it compares to the Jojonium Volume Set that Viz Media also released. There are multiple reasons to watch JoJo’s Bizarre Adventure: Stardust Crusaders, but one of my personal favorite reason to is because of the art style. 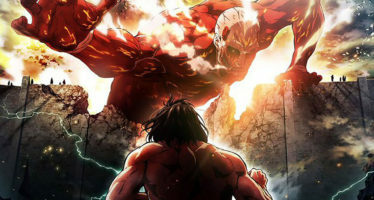 If it is one thing the series is known for, its the unique animation. 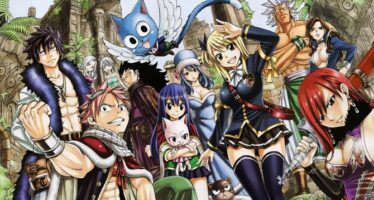 Most anime out there closely resembles the art style of the manga-ka and tend to emulate it rather well. This anime series as a whole is more than just an emulation however and ventures into cutting edge animation techniques to convey a story only fitting of JoJo’s Bizarre Adventure. So when I first popped in the blu-ray disc and started to watch it in all its 1080p HD glory, it was like watching manga panels come to life. There’s so much color that bleeds through each episode. You can almost feel Dio (the main antagonist of the series) pop out to take a bite! This experience extends to 4 whole discs, with 6 episodes per disc. That’s episodes 1-24 of Stardust Crusaders (Part 3); in other words, 576 minutes of JoJo goodness! Inside the box, is the blu-ray case itself. Below that, you are greeted by JoJo’s Bizarre Adventure Key Animation Collection ★ Stardust Crusaders. This little booklet contains animation sketches of all 24 featured episodes. Each section provides credits of the main creators behind the episode. You also get actual comments from the animation directors themselves as they talk about what it was like creating each scene. It has lots of gems of insight in it that die hard fans will love! If the booklet isn’t enough, you also get collectible 6 Art Cards featuring the exuberant characters that star in the series. Not as many as the 9 you get from Set 1, but they are also double sided. You get plenty of flashy artwork no matter where you search! Alas, if your 24 episode journey comes to an end quicker than expected on your JoJo binge, fret not! Travel to the Special Features section! These features include Interviews from the English dub voice actors, an Art Gallery, trailers for other featured animes and more. 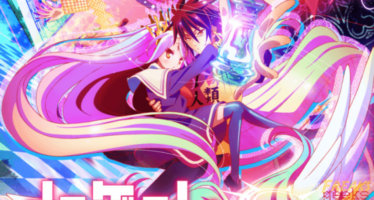 The one feature I found useful when it comes to disc format is the ability to switch between English Sub and Dub. I’m not here to debate which is better (as I’d be burned at the stake), but there is something great about having the option to watch it in English. Those lengthy and speedy battle monologues can be tedious! Viz Media does a decent job at its English dub but a lot of the linguistic jokes of the series are lost in translation. To the credit of the voice actors, just from watching their interviews you can see the love they put into it. They really make sure to deliver a dynamic experience for the fans. Of course, if you prefer the Japanese, you have that option! One interesting “hidden” feature you may be interested in is the additional English setting of including the original opening and endings as they were first published in Japan. This means that all the Japanese credits are intact, whereas choosing the “Clean” version simply marked as “English” in the settings, all Japanese signs are removed from both opening and closing. What about the price? For some, it may sting to pull out your wallet. The difference between regular and limited are about $30 apart. Limited seems to be around $55-$75 while the normal box set is close to $$25-$45. Is the price worth it? Definitely for the right audience. You are paying for more physical content and digital. English voice actor interviews are only in the Limited Edition. This is the same for the animation booklet and art cards. Exploring this blu-ray was a Bizarre Adventure in itself; there were odd, yet pleasant surprises along the way that kept holding my interest.The aesthetic that is JoJo’s Bizarre Adventure: Stardust Crusaders is handled without fear and with true style. If you’re a real fan of this series, the Limited Edition Set box sets are a must have and preserve the series for generations to come. 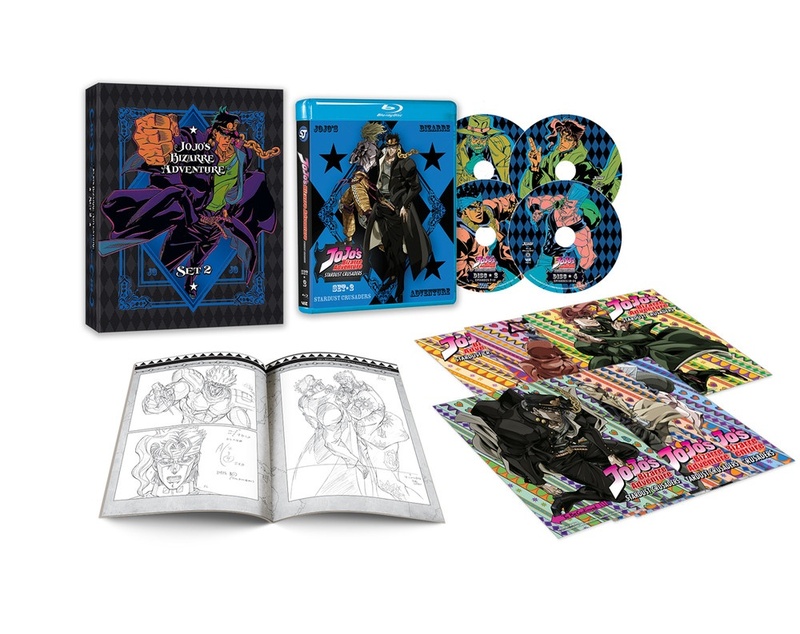 JoJo's Bizarre Adventure Set 2 Limited Edition delivers an experience only fitting for the series. Loaded with special features for the big time fans, there is hours of content (not to mention collectible items) that will keep you entertained for while. Set 2 comprises of JoJo's Bizarre Adventure Part 3: Stardust Crusaders. Jotaro and company go on a quest across the world to save his mother and put an end to the evil in the world that is Dio.